CBDISTILLERY’s CBDol Salve. The healing properties of salves has been around since we first started using plants for medicinal preparations. Processing particular herbs helps bring all their natural healing properties directly to your skin, which makes them potentially more effective and faster acting than simply consuming them. 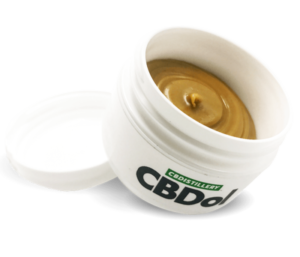 Their 500mg CBDol Salve is a perfect localizing agent to help relieve your site of discomfort. Pesticide-free, non-GMO Hemp CBD oil extracted from the mature stalks and stems of the hemp plant.